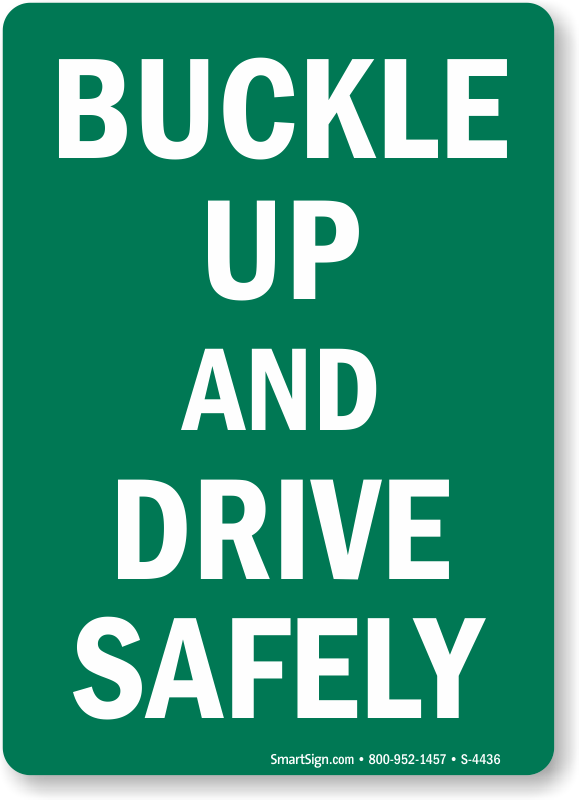 Let everyone know that you don’t compromise on road safety. 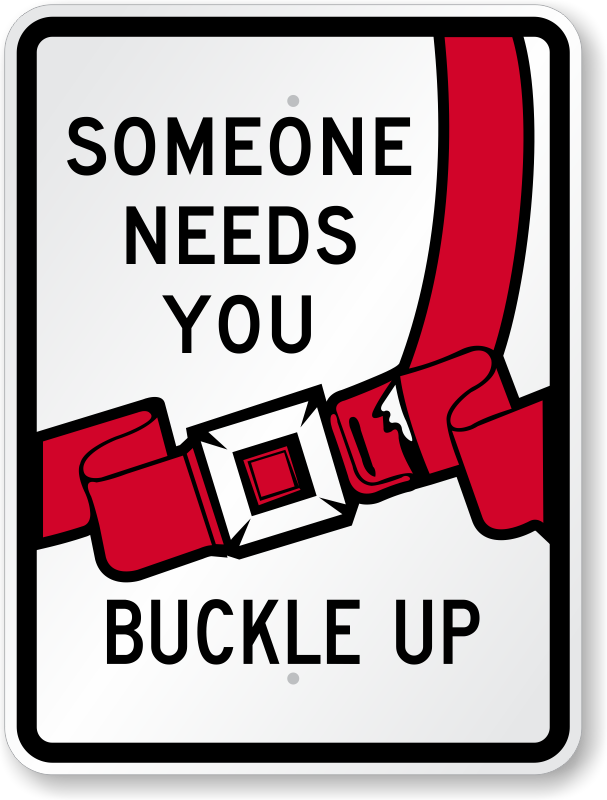 Buckle up signs save lives. Made with 3M inks and films for high visibility. 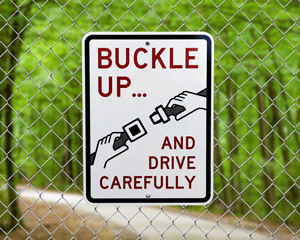 • Signs feature rounded corners and drilled mounting holes. 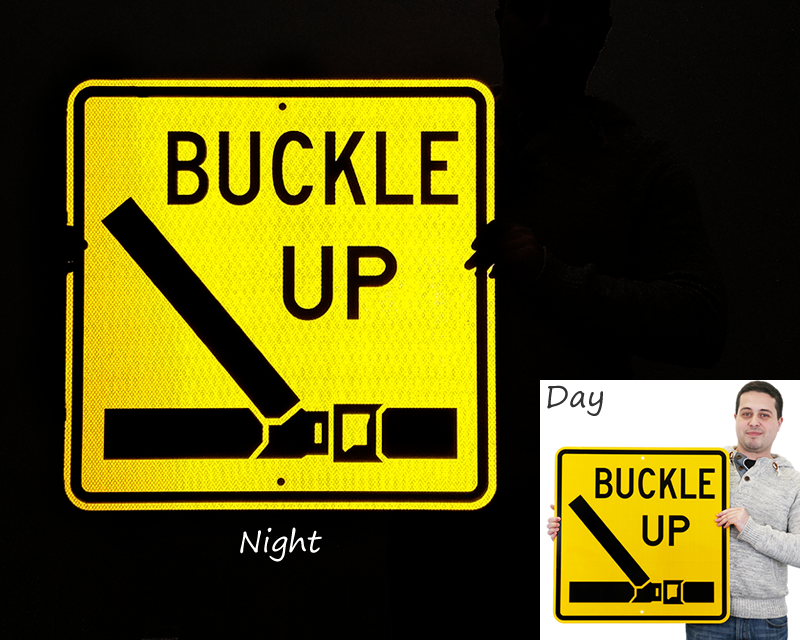 • Most of our signs are reflective and easy to spot at night. 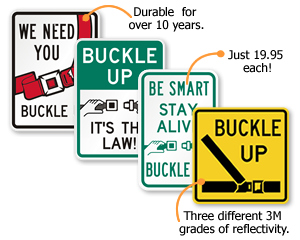 DOT and MUTCD require reflective signs for public lots. 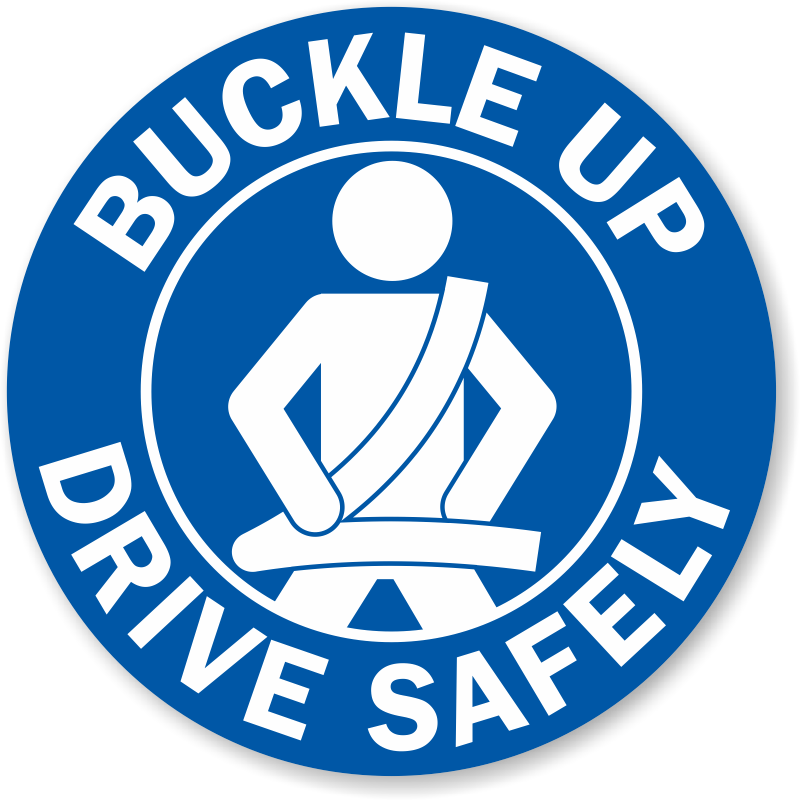 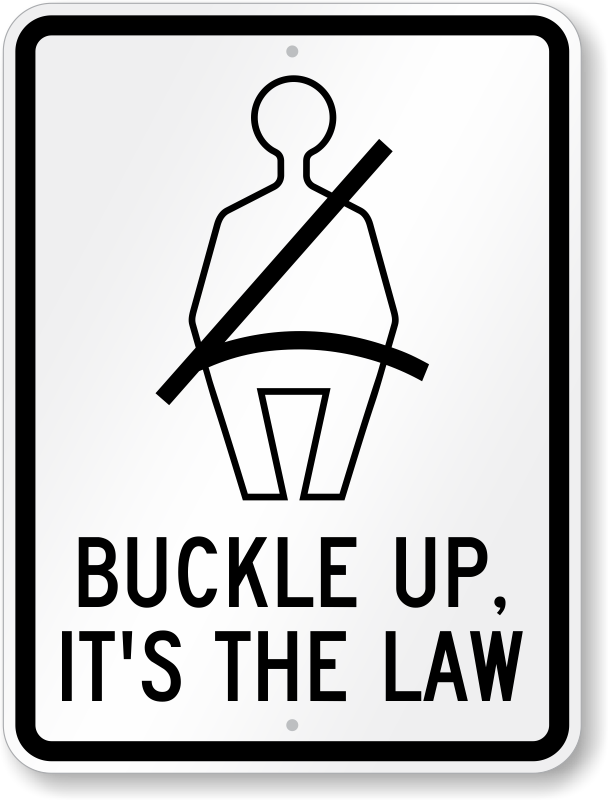 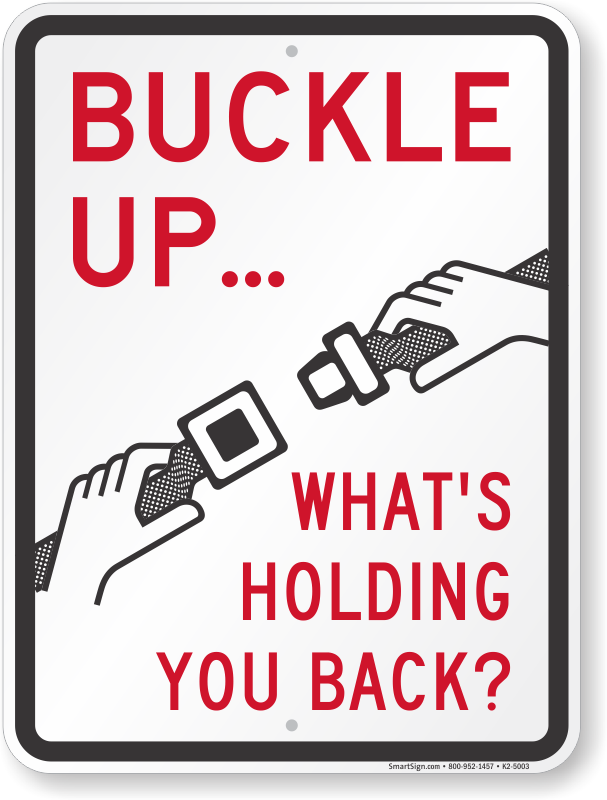 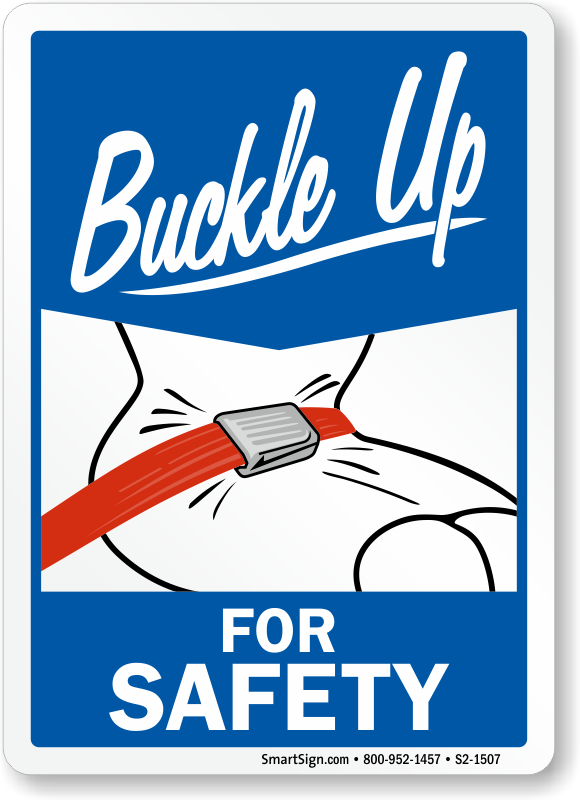 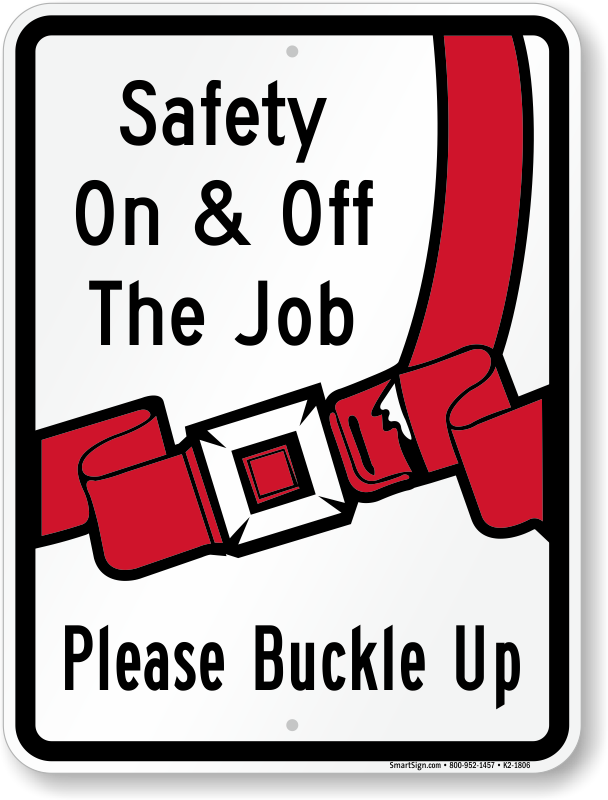 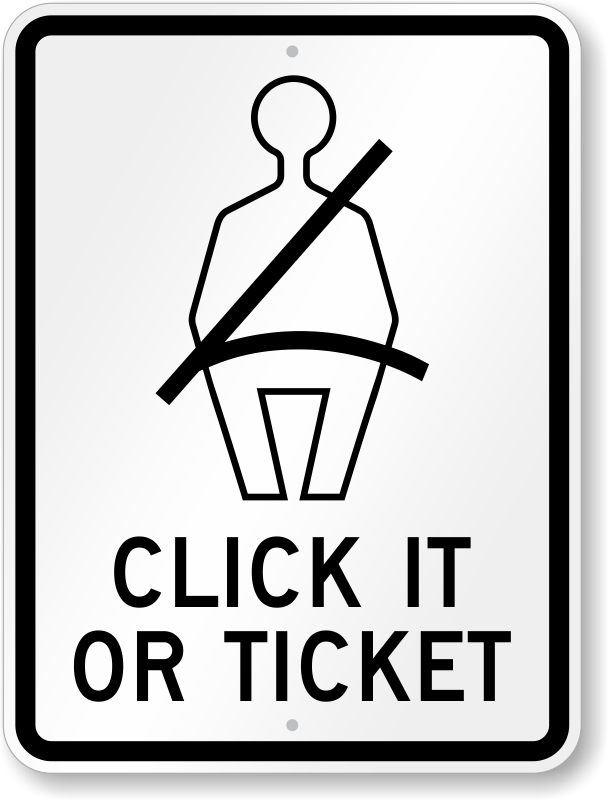 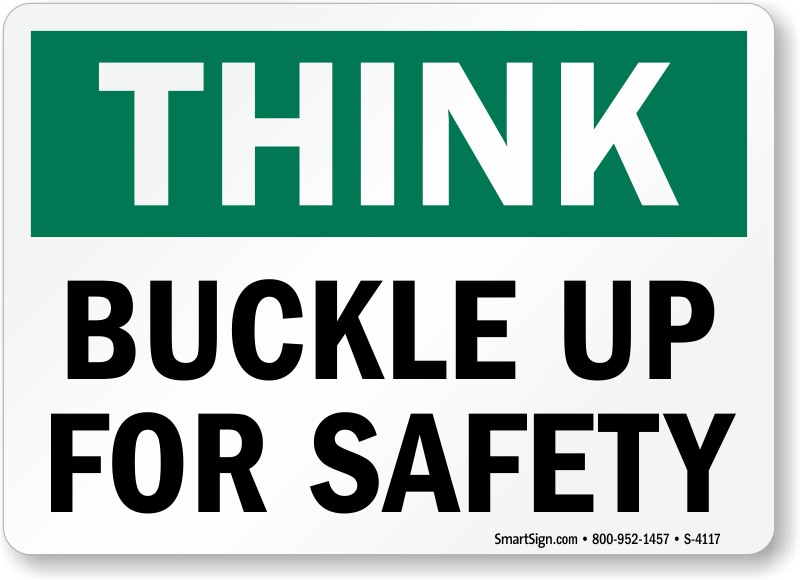 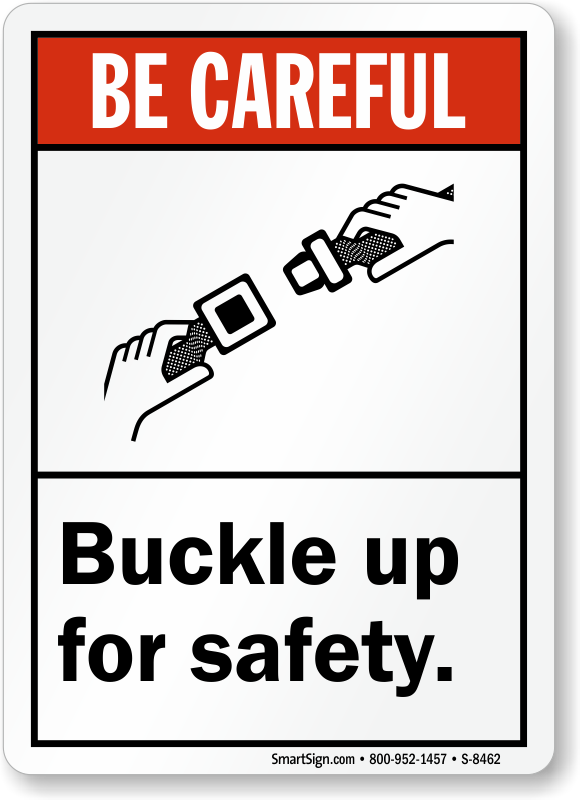 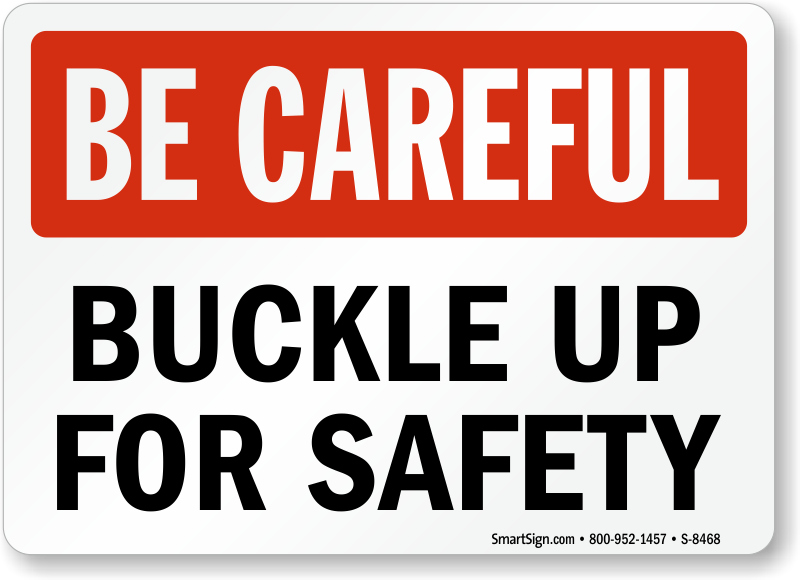 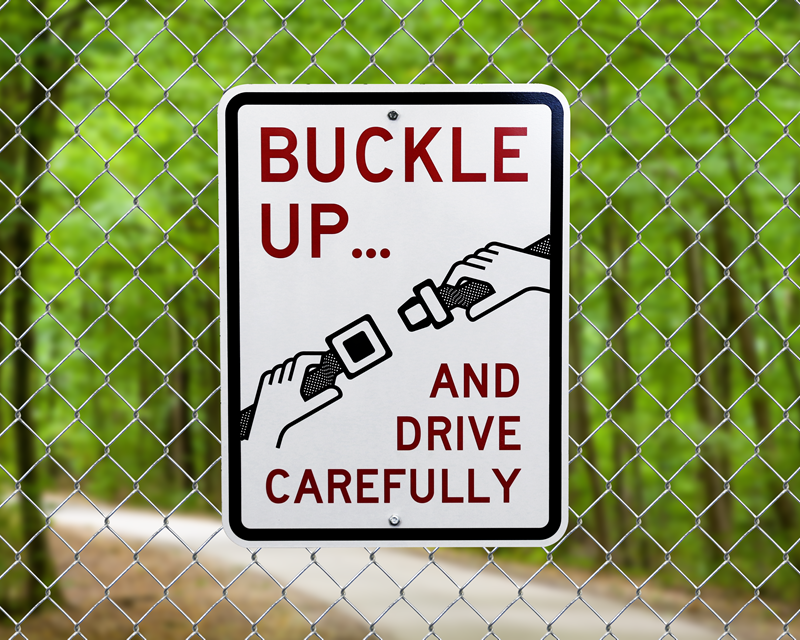 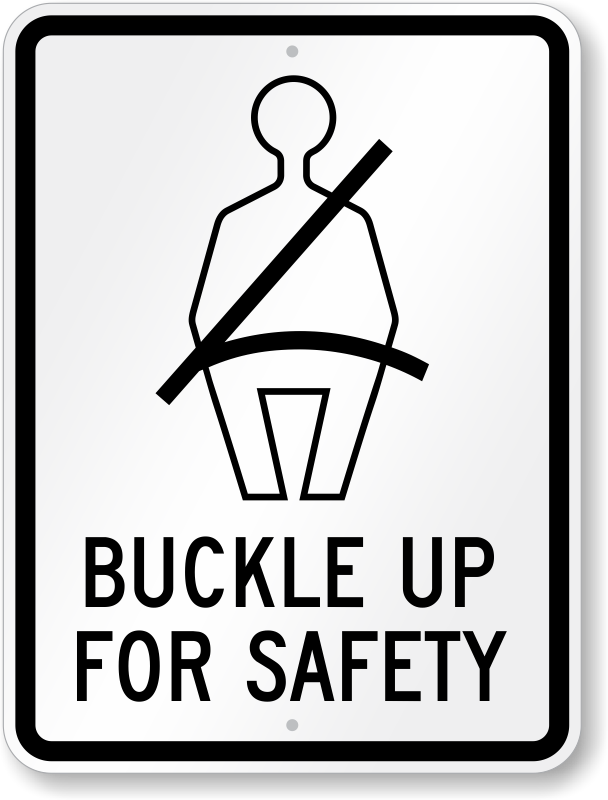 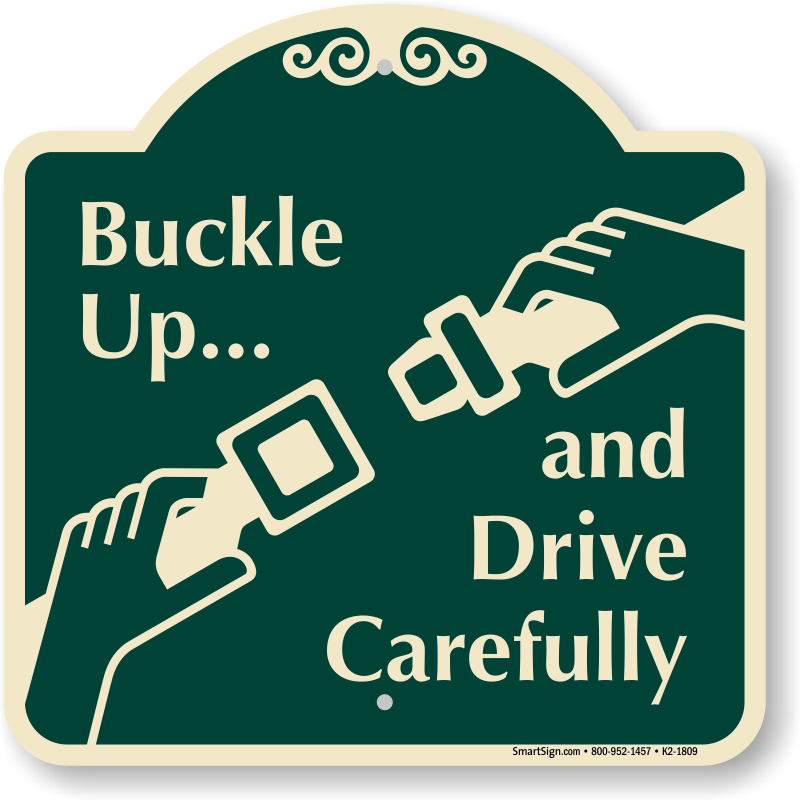 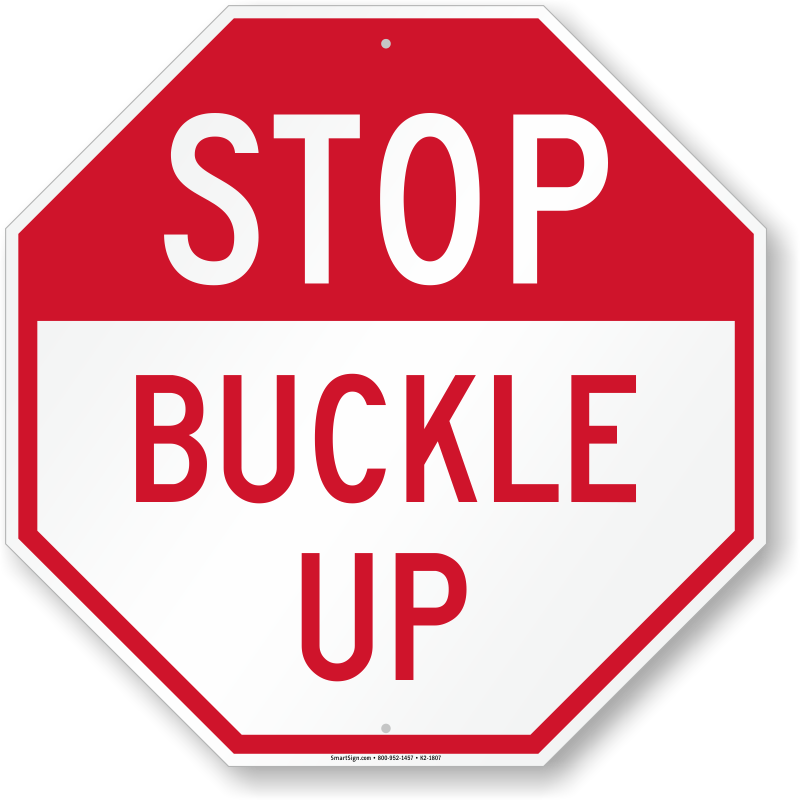 • Learn more about how buckle up signs help save lives. 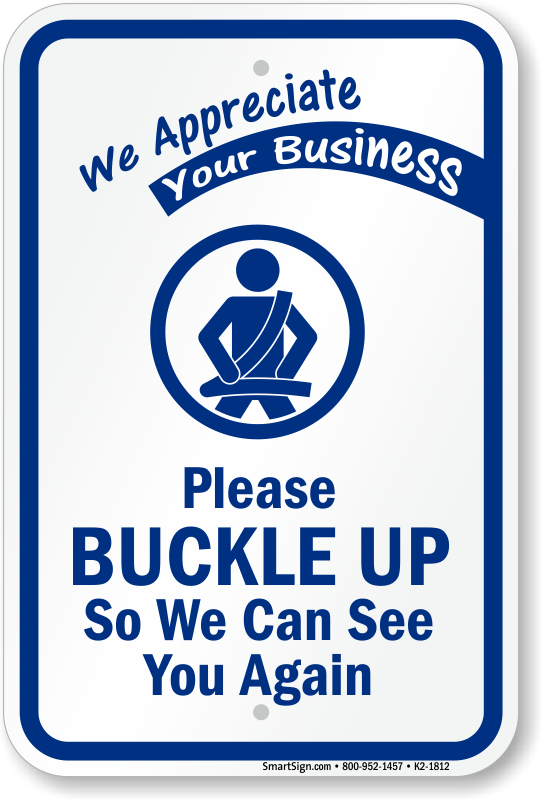 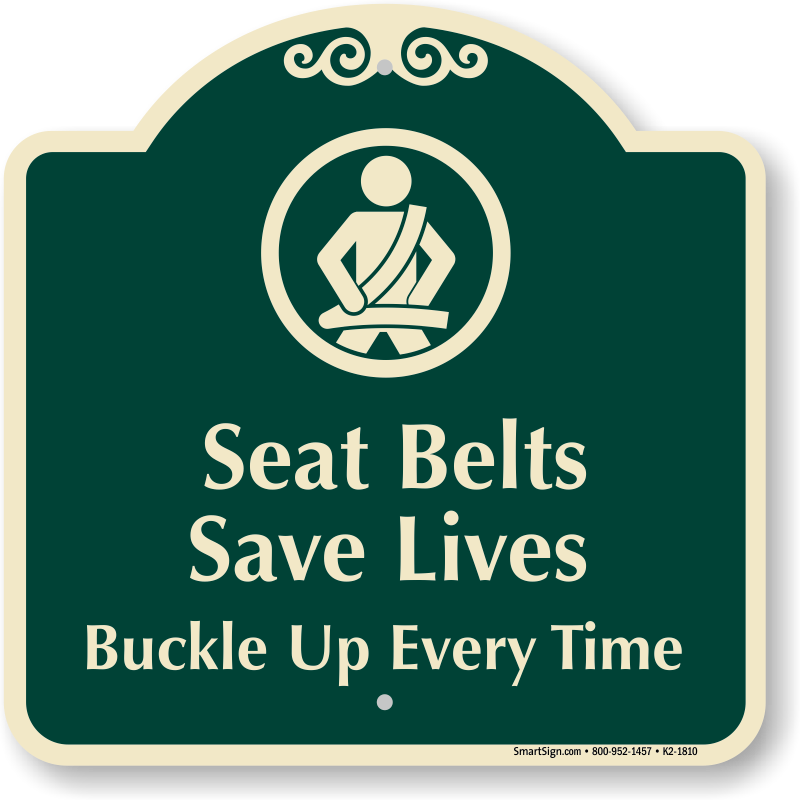 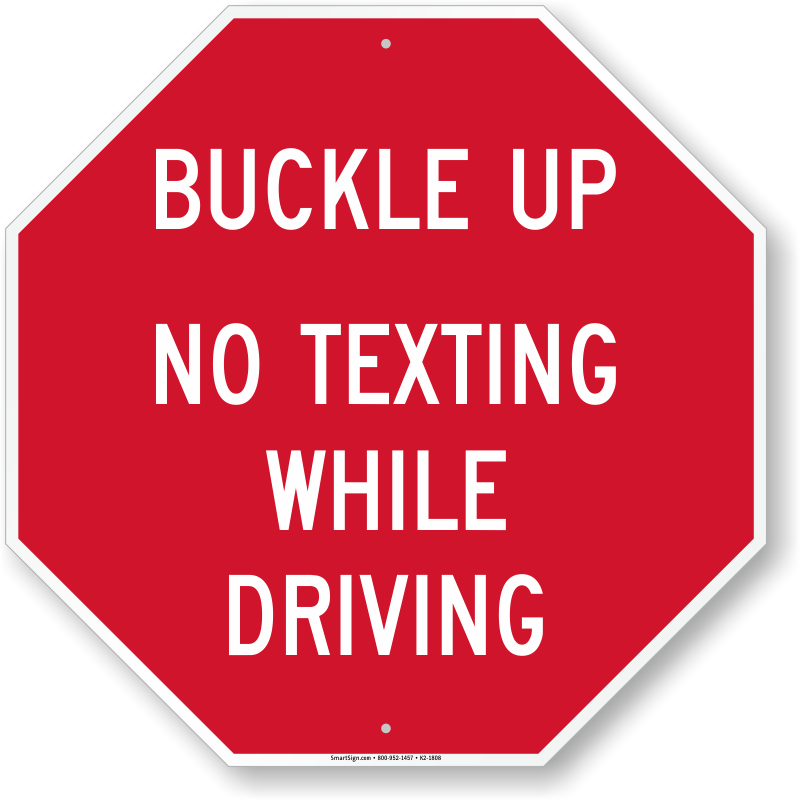 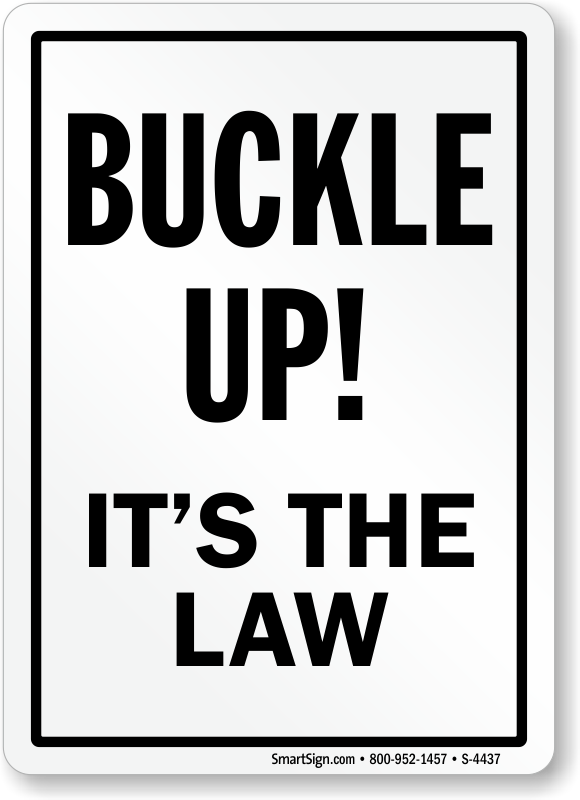 Post a few seat belt signs and mount them to fences or posts. 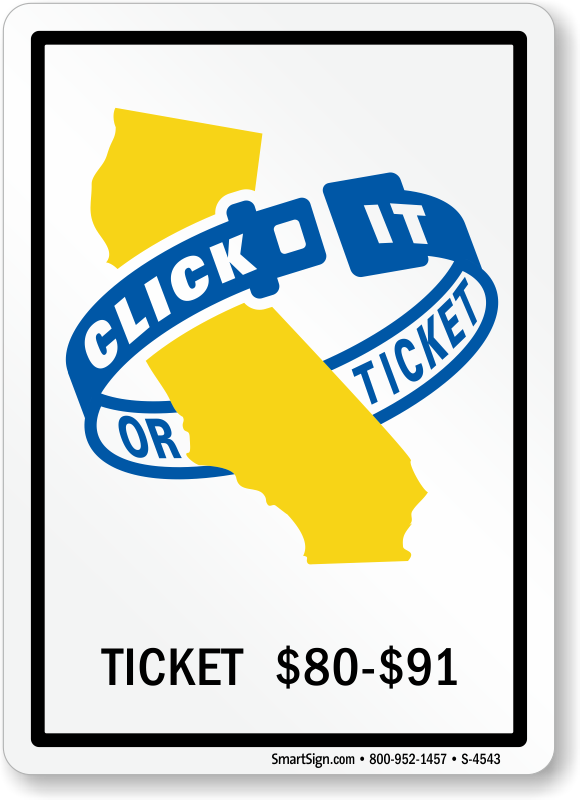 Fluorescent - Can't be Missed!